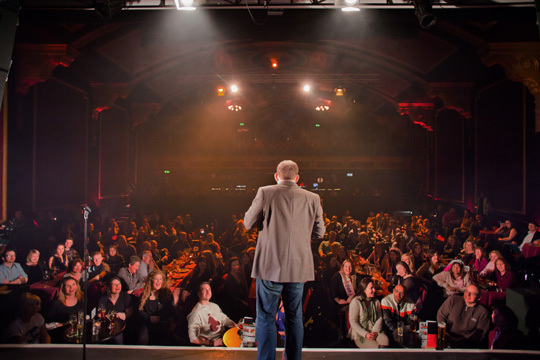 The Komedia comedy club in Bath is planning to go into community ownership, Chortle can reveal. The venue's owners are to write off some of the £1million they have put into the business and instead offer shares in the company to local residents and businesses. So-called Community Benefit Societies are frequently used to save venues at risk of closure, but Komedia's co-founder Richard Daws says that's not the case here. But the extra money raised will help the venue clear its overdraft and increase its promotional activity – while the new arrangement should lead to closer links between the club and its customers. Unlike the straightforward donations of crowdfunding, the plan is that investors will get a three per cent return on the money they put in, which can be between £250 and £100,000. They will act as shareholders – with each investor having an equal say in the running of the new business regardless of how large their stake. However they cannot easily withdraw their investment, but can only sell it to other members of the society. Daws said: 'Community is at the forefront of this new chapter of Komedia's story in Bath, and we're giving everyone the chance to get involved. 'We've investigated many options with a view to securing the permanence of the Komedia venue in the city and this is by far the best way forward for us. 'It's not about "saving" the venue, which is the case with many community ownership schemes, more about taking a bold step to transform the way we do business, building a genuine and committed relationship with the community we serve. 'Our aim is to safeguard Komedia's place at the beating heart of Bath and the South West's live entertainment scene. 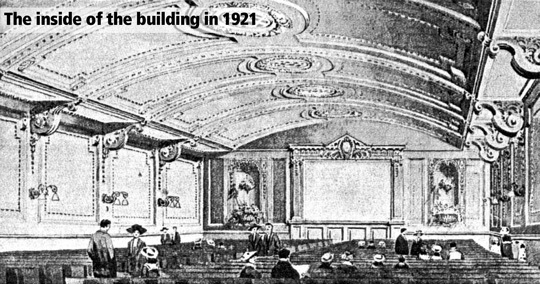 Daws, with co-owners Colin Granger and Marina Kobler and the support of Dutch ethical bank Tridos rescued the Grade II listed Beau Nash cinema and converted it into the Komedia. 'We knew it was the right site, Daws said, 'and we set about making it work. The venue had been neglected for years; the frontage was boarded up, paint was peeling, the seats were worn and the popcorn machines still full of mouldy popcorn. The grade two building was quite literally falling apart. It has won the Chortle Award for the best venue in the region five times, and expanded to host music, kids', theatre, cabaret and spoken words shows. The venue will launch its drive to become a Community Benefit Society through http://www.crowdfunder.co.uk from Monday. Komedia is looking for donations between £25 and £249. It needs to raise at least £350,000 from this share issue for the change in ownership to go ahead. 'We believe that having hundreds – possibly thousands – of engaged owners who love the venue and the role it plays in the city's cultural life represents a direct route to a business that thrives, rather than survives,' Daws said. The move does not affect the Komedia in Brighton, which is a separate company owned by the same people. Here is a video promoting the community offer.